What to look for when booking a newborn baby photographer , am I the photographer for you ? 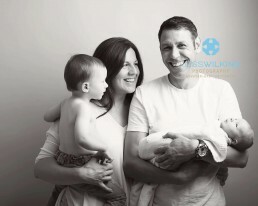 With so many photographers in Norfolk it can be a little overwhelming when choosing who will photograph your new baby . I have read some great blogs recently explaining about newborn photography, pricing and the importance of hiring a professional, such as those written by The Baby and Newborn Photographers Association (which I am an PRO Level approved member of) . This blog will only briefly touch on some of these pointers, it’s really about seeing if I am the photographer for you, and to help guide you to booking the right photographer whether that is me or someone else. Style: One of the first things I advise people is to really look at my work and my galleries , I do not want people to book me as i am the closest photographer to them in Norwich. I want people to book me because they love my style, which is natural, simple and neutral . A lot of photographers rock the bright colours, large props and set ups . If this is what you would like then I would not book me , and that’s okay! Photography is personal & must suit the family taste. So parents think of the images you would like on your wall and framed on the mantle piece , this gives you a great starting point. Recommendations: Well over half my clients come from word of mouth and recommendations. Ask your friends and family to see who they have previously hired to photograph their baby newborn. Not all photographers find newborn photography is for them. While a photographer might be great at weddings , photographing a baby is very different. Also please read the photographers testimonials page , mine can be found by clicking here. Please look at the newborn baby images on the photographers website. And ask yourself does the baby look comfortable and settled? They should be , and this is a good indication that the photographer handles babies safely and calmly. Training and safety : Has the photographer had specific newborn training ? Newborn photography is a speciality, ideally the photographer would have invested in training because handling a newborn baby with confidence and care is soooo important. Although I am a Mum of 2 toddlers , I felt this did not make me an expert . Nor should anyone else claims they can photograph a newborn baby just by being a parent. It looks easy but actually it is not , it is an art. How many years of experience do they have ? I still regularly undertake training, newborn posing is an art and soothing them is another skill set. Posing them takes time , training and practice . Many people offer free shoots when starting out for their portfolio , I did . We all start somewhere . Another consideration is whether you want a free a shoot, or to invest in a shoot and hire someone who has been doing this for some time. Who has years of experience and has themselves invested in training and works safely . This is my 5th year now , and feel very confident handling babies and soothing them to sleep. I am also trained in Paedtric first aid . To find a photographer in your area who is approved by The Baby And Newborn Photographers Association click here . Pricing: This is the most confusing part for parents with so many photographers to choose from , and such vast differences in pricing . I know having a baby is expensive, and people have varying budgets . But saving for the right photographer will be worth it. You will have the images for years and years to come , the saying “you get what you pay for ” is very true . I have had one mum go to a local studio for a ‘free newborn session’ she said it was cold, stressful , rushed and her baby cried the whole time. After the shoot they got in contact with me. They booked with me, and found the session the exact opposite. It was relaxing and a joy for them to watch me work at their baby’s pace . I am very experienced at handling newborns, and photograph on average two a week while I am part time . This is reflected in my price . Am i the right photographer for you ? Watch a video of me at work at my youtube channel , check out my images and style do you like the colours and styling I use? Do you like the poses i do , all snug and simple . Am in your price range ? if so feel free to email me at info@jesswilkinsphotography.co.uk or use my contact form with any questions. Please do not regret booking a newborn shoot whether it is with me or another Norwich photographer , those early days whizz by!